Introducing PHILANTHRO – Furnace Filters for the Greater Good! We are pleased to announce the launch of our furnace filter brand, PHILANTHRO, and share with you the mission we’re supporting with your help! 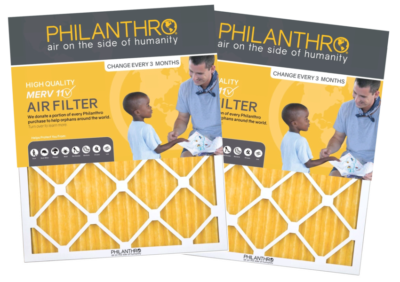 PHILANTHRO furnace filters not only offer excellent indoor air filtration to benefit your home and heating and cooling systems, but the sales of PHILANTHRO filters support global initiatives supporting children in need. PHILANTHRO founder Will Housh has always been passionate about improving the lives of children across the globe. Philanthropy has been a cornerstone of our business model since its inception, with team members participating in mission trips every year serving children in need. The PHILANTHRO brand was created to further this mission, generating funds that directly help organizations supporting orphaned children worldwide. PHILANTHRO furnace filter sales give non-profits the critical funding they need to directly impact the lives of orphan and vulnerable children. Ten percent of every PHILANTHRO furnace filter sale goes directly to global orphan care organizations. As a consumer, you have the power to make a difference in children’s lives simply by changing your furnace filter! Gain MERV 11 quality filtration in your home, and your purchase works to give homes to children in need across the world. PHILANTHRO delivers a quality product consumers can feel great about using. Switching to PHILANTHRO brand furnace filters is a simple switch you can make to give back to those who need it most. 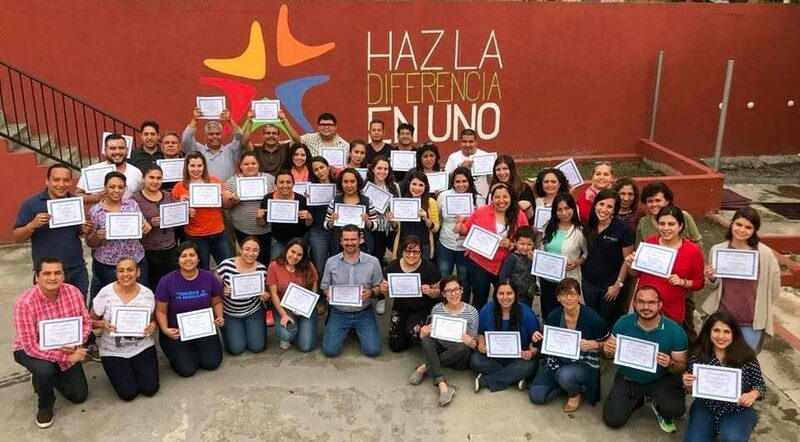 We invite and encourage you to join us as we work to improve the lives of orphan and vulnerable children – who knew you could make a difference through this simple HVAC maintenance step? Make changing your furnace filter make a difference not only for your heating and cooling equipment, but for kids across the globe! Simply search PHILANTHRO.com for the filter size you need, set your replacement frequency, and we’ll ship your new furnace filters, free of charge, when you’re due for a change! Reduce dust in the home by up to 50 percent, and eliminate 80 percent of the pet dander, mold spores, dust mites, and fungus that are diminishing your indoor air quality. That home maintenance task you don’t think too much about? Think about the difference you could make – PHILANTHRO funds a cause everyone can get behind, we simplify your HVAC maintenance routine, and our filters improve your indoor air quality. Switching to PHILANTHRO is a win-win for everyone! We invite you to learn more about our mission and keep up with our progress by exploring PHILANTHRO.com and following our blog.